CHEGOU PRO SEU PRO EVOLUTION SOCCER 2013, O UNIFORME PRINCIPAL E O UNIFORME RESERVA DO BARCELONA PRA TEMPORADA 2014-2015 DO FUTEBOL EUROPEU. O UNIFORME TITULAR, QUE FOI APRESENTADO DE FORMA OFICIAL (20/05), É BEM TRADICIONAL E BONITO. EM RELAÇÃO AO USADO NA TEMPORADA 2013/2014, A DIFERENÇA É QUE AS LISTRAS ESTÃO MAIS LARGAS, E AS MANGAS QUE POSSUÍAM UMA ESPÉCIE DE DEGRADÊ, ESTÃO TODAS EM AZUL. O MODELO É BASTANTE SIMILAR AO DO PERÍODO MAIS VITORIOSO DA HISTÓRIA DO CLUBE, ENTRE 2007 E 2009, AUGE DA EQUIPE DE GUARDIOLA. A CAMISA AINDA APRESENTA A INSCRIÇÃO 'BARÇA' NA ALTURA DA NUCA E AS ESTAMPAS DA PATROCINADORA QUATAR AIRWAYS E DA PARCEIRA GLOBAL UNICEF. JÁ A SEGUNDA CAMISA, MESMO AINDA NÃO SENDO LANÇADA DE FORMA OFICIAL, FOI VAZADA POR ALGUNS SITES ESPANHÓIS E AO QUE TUDO INDICA, O CLUBE CATALÃO VAI RETOMAR O LARANJA. A COR, TIDA COMO VENCEDORA, MARCOU OS TÍTULOS DA LIGA DOS CAMPEÕES 1991/1992 E DO MUNDIAL DE CLUBES 2009. A CAMISA É INTEIRA LARANJA COM DETALHES AZUL NA PARTE TRASEIRA DAS MANGAS E GRENÁ NA FRONTAL. A COMBINAÇÃO APARECE AINDA NO CENTRO DA GOLA, QUE TAMBÉM APRESENTA AS CORES DA BANDEIRA DA CATALUNHA. NA PARTE TRASEIRA ESTÁ A INSCRIÇÃO ‘BARÇA’. 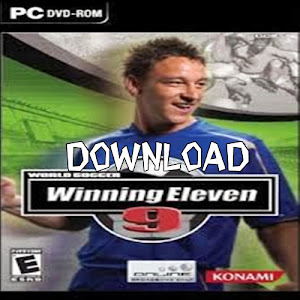 BAIXE E MANTENHA SEU PES 2013 ATUALIZADO!!! This entry was posted on 16:04, and is filed under Uniformes . Follow any responses to this post through RSS. You can leave a response, or trackback from your own site.